New Jersey’s Hopatcong Middle School 7th grade students, Emily Serio & Samara Ibrahim, were one of 55 winners in Sussex County’s annual “What’s Your Anti-Drug” Contest. The contest, sponsored by The Center for Prevention & Counseling and The Coalition for Healthy & Safe Communities, asked students to demonstrate how they stay drug-free through the use of a story, artwork, poetry, or photography. Though podcasting wasn't listed as an officially accepted format, Emily & Samara wanted to try for something beyond the mold. 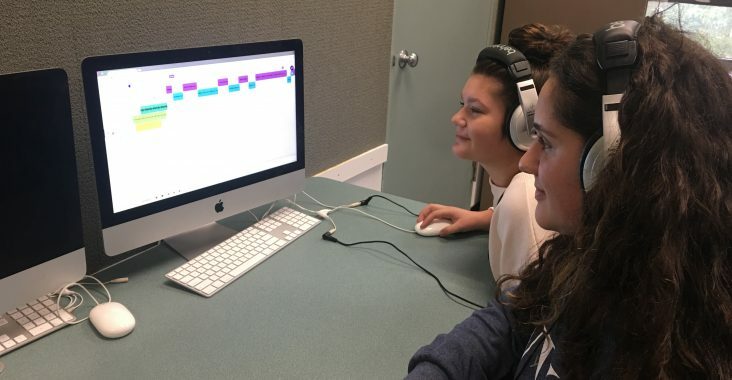 Their teacher, Shawna Longo, supported their efforts in creating, recording, and editing a podcast through the MusicFirst Classroom by using the Sountrap integrated software. Out of the nearly 800 entries from 32 schools in Sussex County, New Jersey, their winning entry was the only podcast. The winning entries are featured in the New Jersey Herald's November 5, 2018 "What's Your Anti-Drug?" Supplement. Interested in having your students create their own podcasts using Soundtrap? Check out the lesson plan in the MusicFirst Classroom, or download it here.